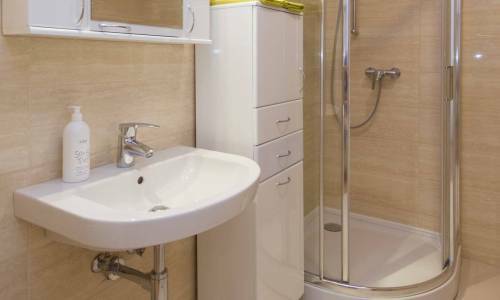 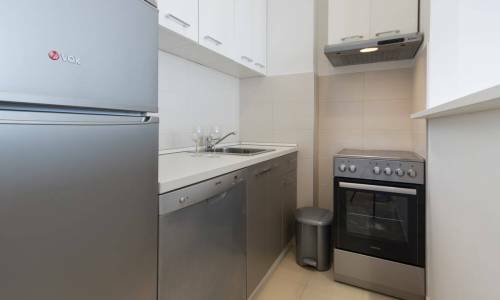 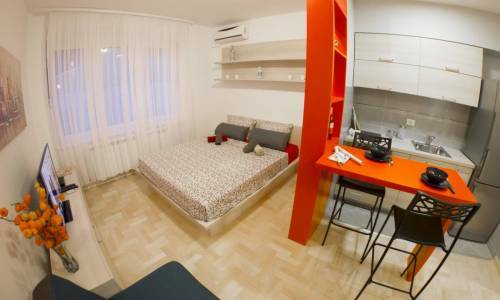 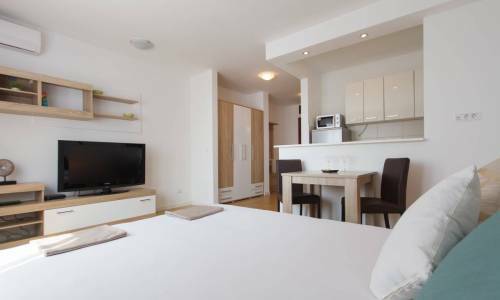 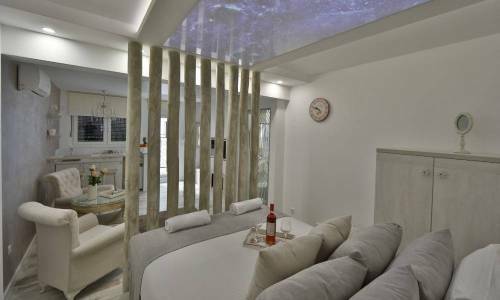 Studio apartment Roni is located within the residential-corporate complex A Blok. 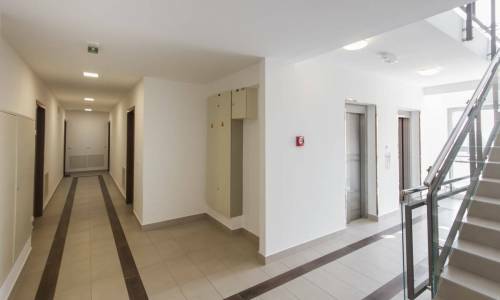 The complex is placed on a highly attractive location, at the corner of Omladinskih brigada and Jurija Gagarina streets. It is 800m away from the Sava river and Sava quay, packed with river clubs, cafés and restaurants. Right across the apartment is Delta City shopping mall, the environment is of corporate nature - Corporate centre Airport City, Raiffeisen Bank, Belgrade Office Park, Siemens, West End... 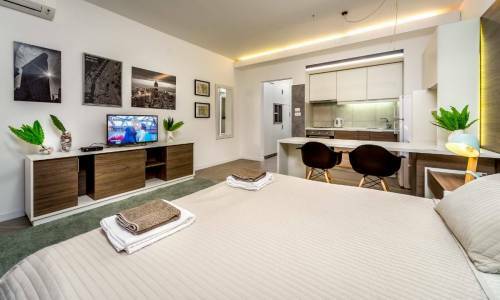 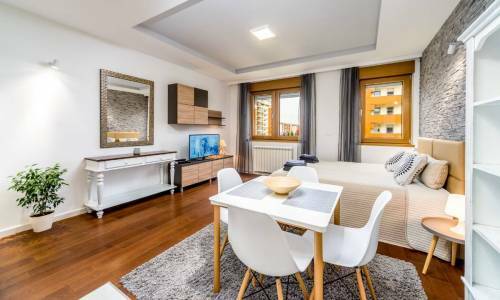 The traffic infrastructure is excellent and the location is superbly connected to New Belgrade boulevards, Ada Bridge and high way/ In the apartment you can see only top quality materials, applied concepts of energy efficiency and green building, as well as high aesthetic criteria. 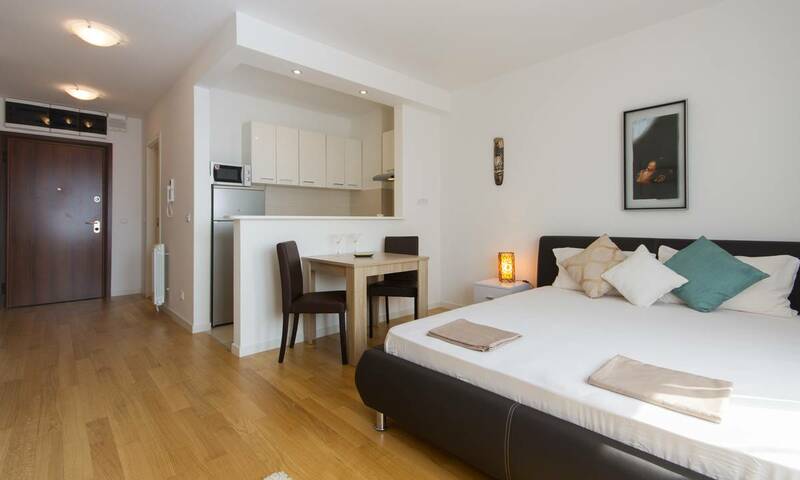 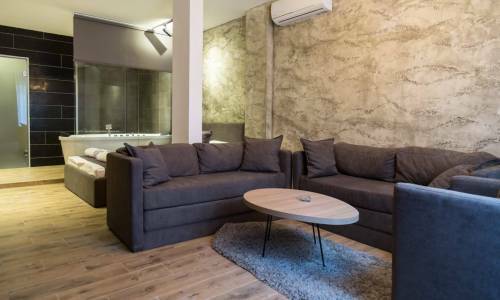 The studio apartment Roni is ideal for one person, or a couple. 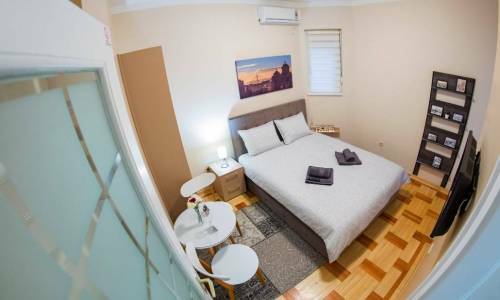 There's a large double bed, comfortable bathroom with a shower, kitchen with all the necessary appliances, including the dish washer. 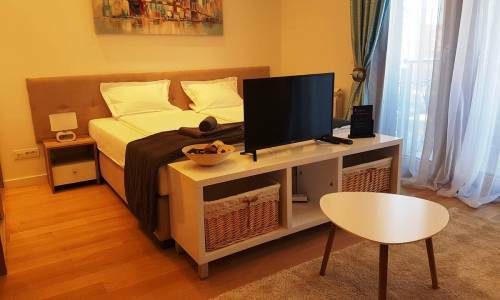 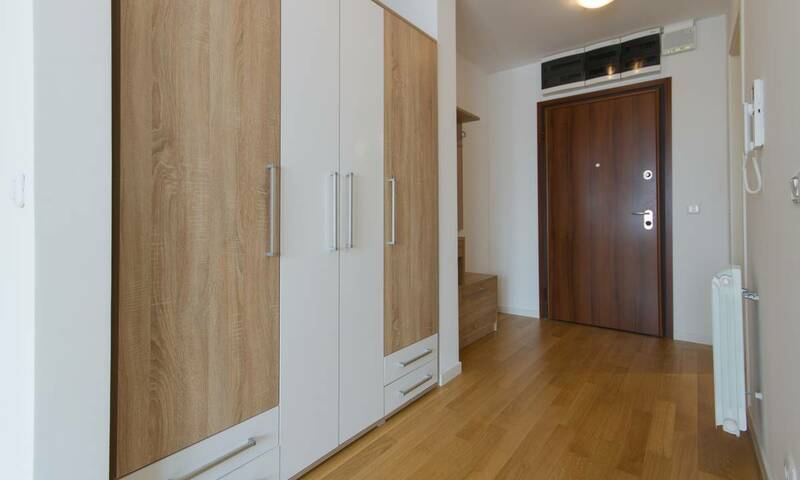 If you wish a high quality apartment of lesser size in New Belgrade area, along with the superb environment, apartment Roni is a perfect choice. 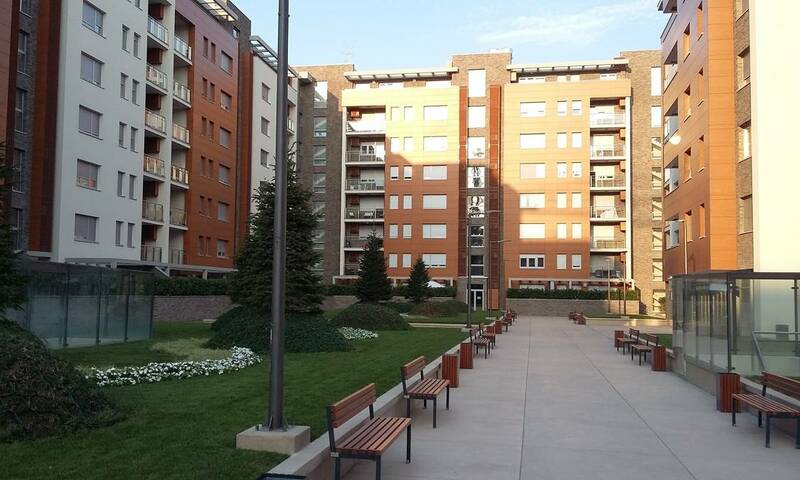 If you're arriving by car, there's a FREE PARKING in front of the building, or the garage charged 5 eur/day, upon enquiry.